“Your bid is way more than we have been paying.” I was told this by the chief engineer of a facility that has two cafeteria hood systems that we inspected and gave a price to clean up and maintain. His comment to me does bring up a hood cleaning industry question. How can two different companies be so far from each other on price when they are supposd to be doing the same work? The answer to that question comes down to three items that greatly affect the price charged by a hood cleaning company and that can have a big impact on the restaurant or cafeteria being cleaned. 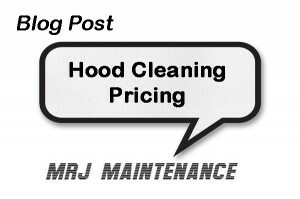 I will now take you through these steps and explain how they affect what a hood cleaning company will charge. Contact us and let us help you assess what is needed for your location. Information is also on our Facebook Page. Please like and comment there. 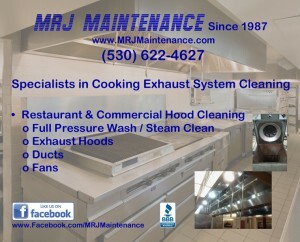 Why the need for regular Cooking Exhaust Cleaning? As a restaurant owner, manager, or chef have you ever asked yourself the above question? If you are a facilities manager has that question ever crossed your mind? Below are some facts you should know.